KOPACK Laptop Briefcase Expandable Large Capacity 15.6 Inch Laptop Bag Water Resistant Scratch-resistant Nylon Shoulder Computer Bag Black | What Should I Say? 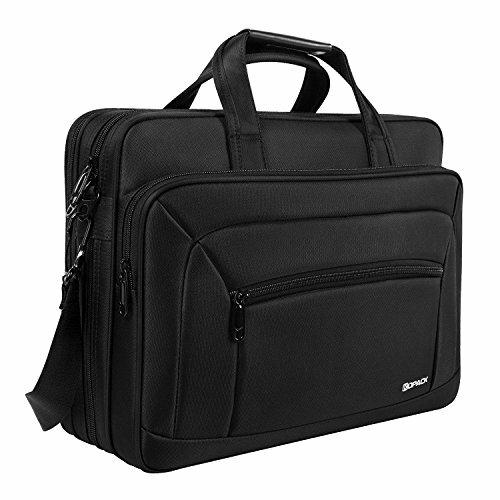 Textured sureface high density solid black nylon material for professional need. Comfortable：Removeable and adjustable shoulder strap with padded part, another way to carry for long time comfortably carrying.